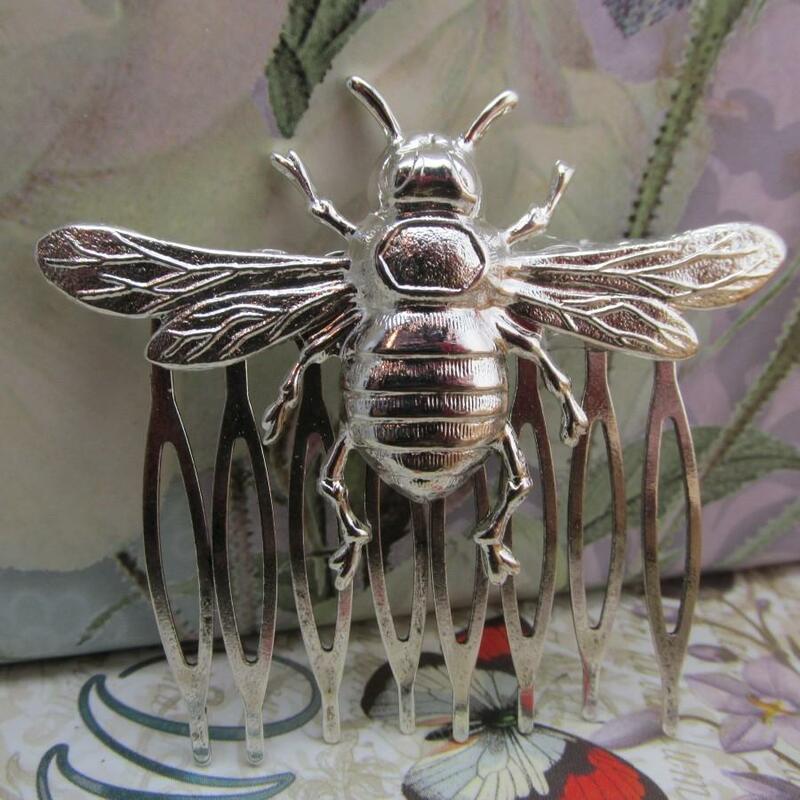 Honey Bee bridal hair comb. Hair comb of a unique character. Brass with silver plating So perfect for a romantic vintage look for a wedding or just to compliment your elegant style. comb is metal for long wear. 2 x 2 inches. Large enough to be a statement piece. Gorgeous! Holds hair well. Love this beautiful unique creation.